A senior security official says a missing Muslim woman suspected of conversion to Christianity has been found. 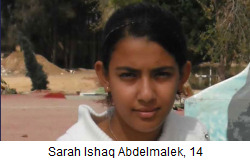 Her disappearance set off rioting in southern Egypt. Muslims stormed a church in Kom Ombo, charging that the woman was being held there. Major General Hassan Abdul-Hay, security chief of Aswan, told reporters late Saturday that "family and social reasons," not religion, were behind her disappearance, and she had not converted. He gave no other details. Hundreds of Muslims threw firebombs and rocks Thursday night at the church, injuring 11 policemen and 12 Christians. 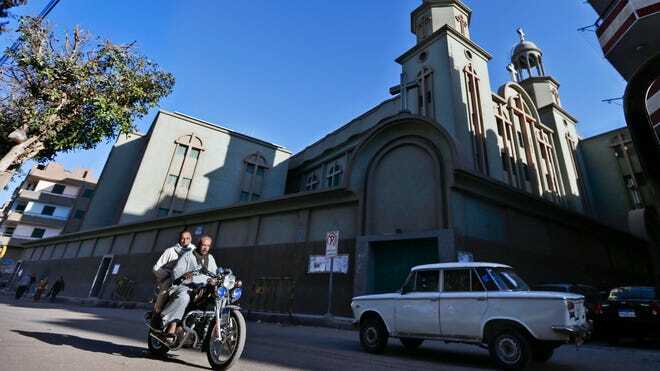 Clashes between Coptic Christians and Muslims usually are sparked by rumors of conversion, Muslim-Christian love affairs and construction of churches. 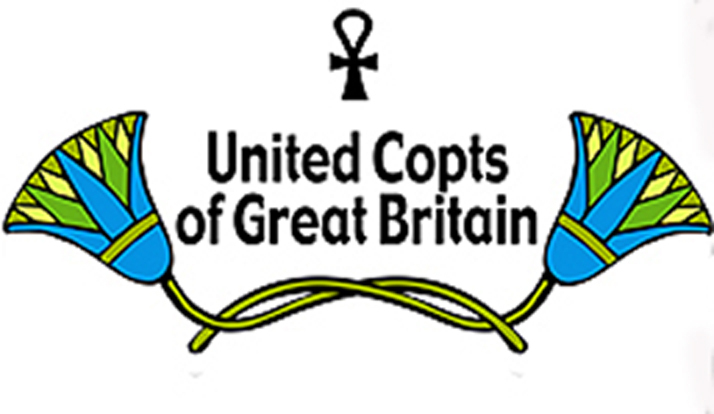 Coptic Christians make up about 10 percent of Egypt's population. They have long complained of state discrimination. Brotherhood justice: Capital punishment for anyone who insults Islam, and release on bail for anyone who attacks any other religion. Did judges give in to pressure of hardliners? CAIRO - A controversial Egyptian Islamist was freed on bail on Monday after he was held in custody for four days on charges of insulting Christianity, a judicial official said. Ahmed Abdullah, an extremist preacher also known as Abu Islam, was arrested after Coptic Christian activist Nagib Gibrail accused him of insulting Christianity on a television show. He was held for four days on orders of the state prosecutor and released on bail of 20,000 Egyptian pounds (around $3,000), the judicial official said. Second assault on Christian properties in province in less than five weeks. Muslim villagers in Egypt’s Fayoum Province attacked a church this weekend – pelting four Christians with rocks, setting parts of the church building on fire and tearing down a cross atop the structure, witnesses said. 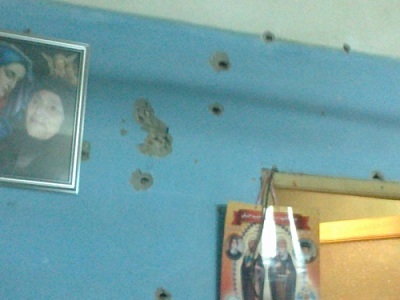 The second assault on property of the province’s Coptic Christians in a little over a month, the attack on the Church of Mar Girgis began Friday (Feb. 15) at 3 p.m., after the church’s worship services in the town of Tamiyyah, 64 miles (103 kilometers) southwest of Cairo. Further attacks on Fayoun coptic church in presence of police "Arabic"
إلقاء كرات مشتعلة مجددًا وهتافات "مش عايزين كنيسة"
عقدت مساء اليوم ما يسمى بـ"جلسة صلح عرفية" بقرية سرسنا التابعة لمركز طامية بالفيوم لإنهاء أزمة كنيسة مارجرجس بالقرية عقب مهاجمتها مساء أمس وإلقاء كرات نار عليها احتجاجًا من أسرة مسلمة على انزعاجها من صوت الصلوات داخل الكنيسة التي تقام يومي الأحد والجمعة، على الرغم من أنها تسكن بجانب الكنيسة منذ 15 عامًا ولم تشكُ من قبل. عقدت الجلسة بحضور مأمور مركز طامية ورئيس مباحث طامية، و7 من الأقباط دون حضور أي من رجال الدين المسيحي وحضر من المسلمين الأسرة المسلمة المجاورة للكنيسة وأربعة شهود ومحكمين مسلمين، وأقيمت الجلسة في منزل شخص مسلم يدعى عبد الفتاح عبد الحميد ثم استكملت الجلسة في مركز شرطة طامية عقب تجدد الاعتداءات على الكنيسة أثناء الجلسة. وانسحب أحد ممثلين الأقباط يدعى جميل إبراهيم من الجلسة احتجاجًا على معاودة الهجوم على الكنيسة أثناء انعقادها وأيضًا فرض شروط على الكنيسة وصفها بالمستبدة وتوصلت الجلسة إلى وضع محضر عرفي تضمن: أولًا ترك مساحة بين الجار المسلم والكنيسة بعرض 5 سم يتم ملئها بمادة عازلة للصوت، ثانيًا، بناء جدار بعرض 30 سم بطول عرض الكنيسة، أما الجزء الفضاء الموازي للكنيسة ويدخل في إطارها اشترطوا أن يقام كمخازن ولا يتم ضمه للكنيسة كمبنى للصلاة. ثالثًا عدم تعلية ارتفاع الكنيسة وتظل كما هي عليه الآن حيث ارتفاع المبنى لا يزيد عن 3 أمتار. رابعًا: تقوم الكنيسة بوضع طبقة عازلة أعلى مبنى الكنيسة، وطبقة من البلاط على سطح صاحب المنزل المسلم على نفقتها لاحتواء الصوت الداخلي للصلوات بعد الانتهاء من وضع المادة العازلة للصوت وبناء الجدار الفاصل. Read more: Further attacks on Fayoun coptic church in presence of police "Arabic"
Burning a church in Fayoum, Egypt "Arabic"
قامت مجموعات من مسلمي قرية سرسنا التابعة لمركز طامية بالفيوم (92 كم جنوب غرب القاهرة)، مساء اليوم، بإشعال النيران بكنيسة مارجرجس بالقرية، وقذفها بالطوب، مما أسفر عن هدم جزء من قبتها، وكسر صليب أعلى القبة، وتدمير أجزاء بداخلها من مقصورة وأيقونات، وذلك بعد أن اعترض أحد السلفيين على وجود الكنيسة بجوار منزل مسلم، وقيامه بتحريض الأهالي للهجوم على الكنيسة، في وجود مأمور قسم شرطة طامية ونقطة شرطة سرسنا، الذي كان يتفاوض مع مسلمي القرية في وجود كاهن الكنيسة قبل بدء الهجوم. وأوضح مصدر من أهالي القرية لـ/إم سي إن/ أن كنيسة مارجرجس تبلغ مساحتها حوالي 200م، وتم بنائها في أوائل الثمانينيات من القرن الماضي، وتخدم ما يزيد عن 180 أسرة مسيحية، وهي ملاصقة لمنزل أسرة مسلمة، مشيرا إلى أن أقباط القرية كانوا قد فوجئوا بقيام مسلمين بكسر جزء من جدار الكنيسة وفتح ثقب به منذ 3 أشهر لمراقبة ما يحدث داخلها، وتم عقد جلسة "صلح" عرفية، طالب المسلمون فيها بعدم ضم مساحة فضاء لا تزيد مساحتها عن 50 مترا داخل الكنيسة إلى مبنى الكنيسة وتعهد الكاهن بذلك، وعندما طالب الكاهن بإقامة حضانة للأطفال رفضوا، واستمر وجود الثقب في جدار الكنيسة كما هو، حتى بدأ أحد السلفيين في تحريض المسلمين على الكنيسة بقوله أنها "جار غير شرعي للمسلمين ولا يجوز وجودها"، كما أنه اعترض على أن يكون عداد الكهرباء باسم الأنبا ابرام أسقف الفيوم، معتبرا أن ذلك "غير شرعي". Read more: Burning a church in Fayoum, Egypt "Arabic"
So far, no military officers convicted for October 2011 incident that killed 28 Copts. It's been more than a year since a military-induced massacre in Cairo, Egypt, killed 28 people—mostly Coptic Christians. But the only people convicted thus far have been the Christians themselves. Last week, a Cairo court sentenced Michael Farag and Michael Shaker to three years in jail, charging them with inciting violence, destroying military vehicles, and deliberately attacking soldiers. Farag and Shaker were among the more than 30 Coptic civilians arrested following the massacre, 12 of whom were given life sentences last May. 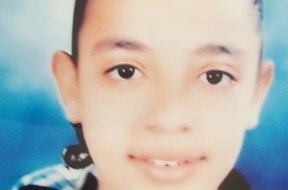 (AINA) -- On December 23, 2012, 13-year-old Agape Essam Girgis from the village of Nahda, el-Ameriya, near Alexandria, went to school as usual. Failing to return home, the family knew that she went out of school accompanied by the Muslim social worker Heba and two teachers, one of the them a Salafist. She stayed missing for 9 days during which the family and sympathizers organized a sit-in in front of the renowned Alexandria Library. 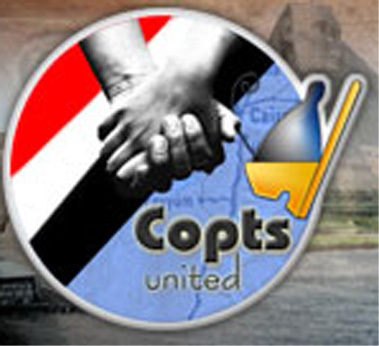 The Coptic Church in Alexandria also organized a conference on December 30 on the abduction of Coptic girls, with focus on Agape, which was attended by journalists and the public. On December 31 state security contacted Bishop Pachomios and told him that they have the kidnapped girl. She was handed over to her family and the church priest where she stayed with his family for some time due to the terrible ordeal she experienced during her abduction. Muslims cut the hand of a Christian in Egypt "Arabic"
نشبت مشاجرة بين مساعد شرطة , ينتمي للتيارات الاسلامية ونجلة وبين 3 أشقاء مسيحيين بدائرة قسم جرجا بسبب النزاع علي قطعة أرض وعقب عرض المتهمين علي النيابة هاجم اقارب مساعد الشرطة , المسيحيين مستخدمين الالآت الحادة وقاموا بقطع يد أحدهم وإصابتة بجروح خطيرة بالرأس وتم نقلة إلي مستشفي سوهاج الجامعي . كان اللواء محسن الجندي مساعد الوزير مديرأمن سوهاج، قد تلقي إخطاراً من قطاع الجنوب، يفيد وقوع مشاجرة بين مسلمين ومسيحيين بدائرة قسم جرجا، وبالإنتقال إلي مسرح الواقعة والفحص , تبين نشوب مشاجرة بين كل من " جاد الكريم أحمد " 60 عاما مساعد شرطة بالمعاش وينتمي للتيارات الإسلامية , ونجلة "علي" 32 عاما - عامل - ويقيمان بمنطقة شيخ العرب دائرة القسم "طرف أول" و طلعت شوقي ناشد " 32 سنه حاصل علي دبلوم وشقيقية "اسامة" 22 سنه طالب و"عاطف" 34 سنه عامل ويقيمان بذات الناحية "طرف ثان" . Read more: Muslims cut the hand of a Christian in Egypt "Arabic"
(AINA) -- Thousands of Muslims from Marashda and surrounding villages attacked eight Coptic homes and businesses, including five pharmacies, which were looted and torched. Coptic-owned cars were also torched. The attack on the Christians was caused by rumor that a 55-year-old Coptic man, Nader Masoud, sexually assaulted a 6-year-old Muslim girl. The Attacks on the village, which has a majority Christian population, started yesterday after 10 PM, when several Coptic businesses were torched, and Church of Abu Fam had its cross demolished and its glass smashed. Anba Kyrollos, Bishop of Nag Hammadi, said that a medical check of the Muslim girl proved her "virginity," but the attacks "took place after the Muslims knew of the medical verdict and the sexual assault was only a rumor." 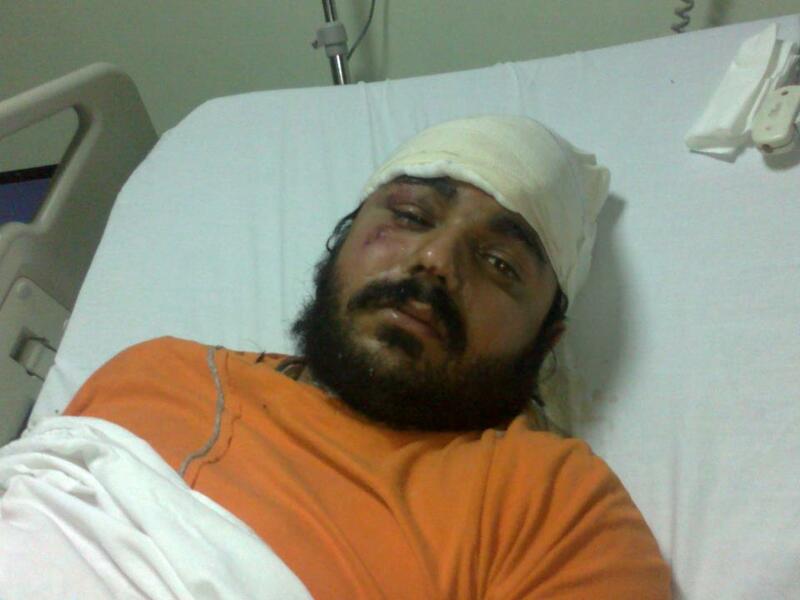 The persecution of Christians in Morsi’s Egypt is now serious. I open by drawing your attention to the shocking story (one among an increasing number of examples of the growing oppression of Coptic Christians under Egypt’s brand-new Islamist dictatorship) of Nadia Mohamed Ali, who was brought up as a Christian, and converted to Islam when she married a Muslim, 23 years ago. He later died, and his widow decided to return to her Christian faith, together with her children. She registered as such under the Mubarak regime, and applied for and received new identity cards containing this information, between 2004 and 2006. When her re-conversion to her old faith emerged under the Morsi regime, Nadia was sentenced to fifteen years in prison: so too were her seven children; even the clerks who processed the identity cards were imprisoned. 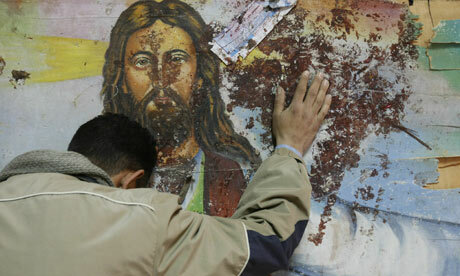 Read more: The persecution of Christians in Morsi’s Egypt is now serious. LUXOR, Egypt (AP) — Police fired tear gas to disperse hundreds of Muslim protesters trying to storm a Coptic Christian church in southern Egypt Friday, after a word spread that a Christian man sexually assaulted a 6-year-old girl. Witnesses in Marashda village in the province of Qena said several shops and cars owned by Coptic Christians were torched overnight after Muslim villagers accused a merchant in his sixties of molesting the young girl. Violence flared again after Friday prayers, with witnesses saying protesters surrounded the village's central Abu Fam church, hurling stones and trying to storm it. Some climbed the church walls and destroyed a cross atop it. Police fired tear gas to scatter the crowd. Maspero Youth: Attck on Nag Hamadi church systemic persecution"Arabic"
اكد اتحاد شباب ماسبيرو فى بيان له اليوم ان ما حدث اليوم بنجع حمادى هو حادث جديد من مسلسل على الاقباط الاعتداءات بعد هدم جمعية قبطية بقرية فانوس التابعة لمركز طامية يهاجم مسلمين اليوم اقباط قرية المراشده التابعة لنجع حمادى بعد شائعة غير تحرش رجل فوق 60 بطفله 4 سنوات فكانت ذريعة معتادة مثل الحوادث الاخرى لتحويل الغوغائية الشائعة لعقاب جماعى للأقباط بالهجوم على منازلهم ومتاجرهم فأسفر عن حرق وتدمير 6 متاجر وحرق دراجة بخارية وتدمير بعض سيارات يملكها اقباط فضلا عن قذف كنيسة ابوفام الجندى بالقرية ومحاولة اختراقها وإسقاط صلبان الكنيسة اعلى المبنى . 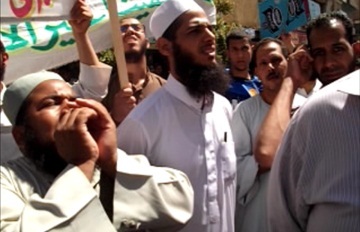 Read more: Maspero Youth: Attck on Nag Hamadi church systemic persecution"Arabic"
(AINA) -- Hundreds of Muslims came out of mosques today with hammers and destroyed a social services building belonging to the Coptic Church while chanting Islamic slogans. Security forces arrived after the building was completely razed. The 100 square meters social services building in the village of Fanous, Tamia district in Fayoum province, 130 KM south west of Cairo, had all the necessary government permits; it had a reception hall on the first floor and a kindergarten on the second. But the Muslims insisted that it would become a church. A meeting had taken place beforehand between the village mayor and elders from Muslim and Coptic sides and it was agreed that only the first floor was to remain and the second be demolished. Mosques in surrounding villages called on their microphones this afternoon on Muslims to go and help their Muslim brethrens in the village of Fanous, because Christians were "building a church." According to rights activist Nader Shukry of Maspero Coptic Youth Organizations, nearly 5000 Muslims took part in demolishing the church property with their hammers, while shouting "Allahu Akbar." He said no one was arrested, not even the imams who called on Muslims to demolish the building; their calls fall under the crime of "enticement to violence." 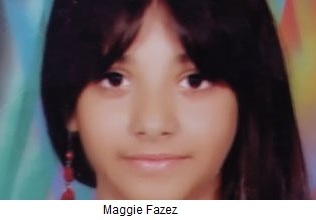 Family in Egypt get 15 years imprisonment for conversion from Islam. 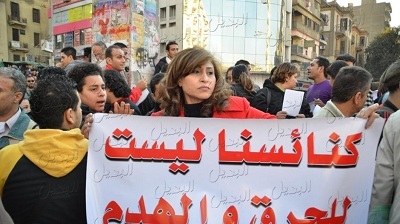 The Family of 8 has no legal means to convert from Islam in Egypt while the constitution guarantee Freedom of Religion. 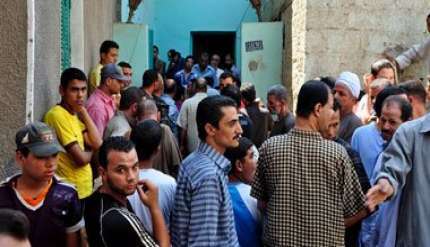 Beni Suef Criminal Court, Egypt today sentenced a family of 8 to 15 years imprisonment for changing religion from Islam to Christianity also 7 government employees were sentenced to 5 years. In Egypt in spite of the constitution states that freedom of Religion is guaranteed, there is no legal means to change religion from Islam however all legal door are open to change to convert to Islam, conversion to Islam is encouraged. Convert from Islam have only one way to change their legal document which is fraud which end them in prison. 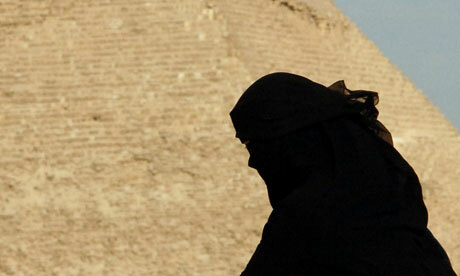 Read more: Family in Egypt get 15 years imprisonment for conversion from Islam. A campaign of intimidation by Islamists left most Christians in this southern Egyptian province too afraid to participate in last week’s referendum on an Islamist-drafted constitution they deeply oppose, residents say. The disenfranchisement is hiking Christians’ worries over their future under empowered Muslim conservatives. 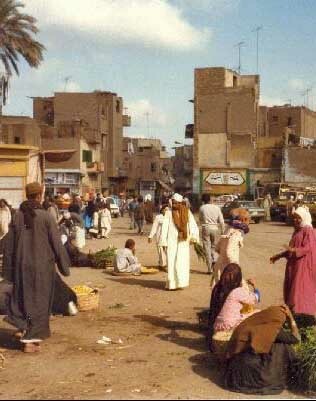 Around a week before the vote, some 50,000 Islamists marched through the provincial capital, Assiut, chanting that Egypt will be “Islamic, Islamic, despite the Christians.” At their head rode several bearded men on horseback with swords in scabbards on their hips, evoking images of early Muslims conquering Christian Egypt in the 7th Century. Egyptian activist Alber Saber Ayad has been sentenced to three years in prison for "defamation of religion". An Egyptian activist has been sentenced to three years in prison after being found guilty of “defamation of religion”, a conviction Amnesty International called an outrageous assault on freedom of expression. The court in Cairo found Alber Saber Ayad, a 27-year-old computer science graduate and activist, guilty of disseminating material on the internet that defamed religions.